Perio Protect "The Perio Tray "
Oral surgery can help many people with many different dental issues. You might need oral surgery to cure an infection, relieve pain, or restore the function and appearance of various parts of the mouth or face. Oral surgery is nothing to be afraid of: in fact, most oral surgery procedures are performed in a dental office, not a hospital — and most can be accomplished using local anesthesia (such as a numbing shot). However, to reduce anxiety and make sure your experience is as comfortable as possible, you may also be offered conscious sedation; general anesthesia is rarely needed in oral surgery. Let’s take a look at some of the more common oral surgery procedures. We try to save teeth whenever possible, but sometimes it is better for your health and well-being if a tooth is removed. This might be the case if the tooth is diseased or damaged beyond repair. An impacted tooth — one that is blocked from growing in normally by a neighboring tooth or another anatomical structure — may also need extraction. 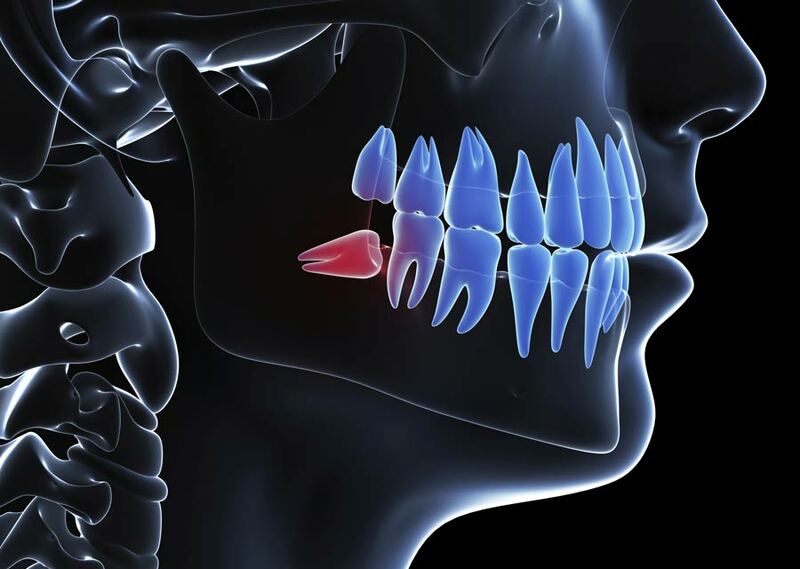 Impaction is a common reason for wisdom tooth removal. Sometimes tooth extraction might be recommended prior to orthodontic treatment if the jaw is too small to accommodate all the teeth in proper alignment. When you replace missing teeth, it can enhance both your health and quality of life. Today’s state-of-the-art tooth-replacement method is the dental implant. Dental implants are small titanium posts, which are inserted into the bone beneath your gums during a minor surgical procedure. The implant base attaches to a lifelike dental crown to make a complete replacement tooth that looks and feels completely natural. Dental implants can be used to replace a single tooth, a group of teeth, or an entire set of teeth. They can even be used to secure removable dentures and keep them from slipping. A number of surgical procedures can be used to rebuild damaged or diseased oral tissues, or to create a better appearance. For example, periodontal (gum) disease often results in bone loss around the tooth roots, and causes the gums to shrink down from the teeth. Fortunately, both bone and gum tissue can be rebuilt with simple grafting techniques performed in a dental office. Conversely, people who feel that their smile appears too “gummy” can benefit by having excess tissue removed from the gums. Traumatic facial injuries (from accidents or other causes) and birth defects such as cleft lip/palate often require surgical repair in a hospital setting. Most bite problems can be treated orthodontically — by gradually moving teeth with braces and other appliances. However, some bite problems are actually the result of a skeletal issue where the jaws don’t line up properly. When this occurs, the jaws must be realigned surgically to make the bite function correctly. This type of treatment is also referred to as orthognathic (ortho = straighten; gnathic = jaw) surgery. While it is done to improve the way the jaws and teeth function, it often has a positive effect on a person’s appearance as well. Obstructive sleep apnea (OSA) is a dangerous condition in which airflow is blocked during sleep, interfering with normal breathing. There are various ways to treat OSA, including oral appliances and continuous positive airway pressure (CPAP) machines. Sometimes, however, surgery might offer a more effective solution. This could involve shortening the soft palate, tightening tendons that allow movement of the tongue, or one of several other procedures. Because each person is anatomically unique, any surgical approach will depend on exactly how the airway is being blocked in a particular individual. Surgery is not usually recommended until more conservative approaches have been given a chance to work. Oral cancer is a potentially deadly disease that affects adults of all ages — even those who don’t smoke. That’s why an oral cancer screening is part of your routine dental examination. If a suspicious lesion is found, a small tissue sample will be removed and sent to a lab for microscopic evaluation. If cancer is present, surgery will likely be performed to remove any abnormal tissue. The sooner this is done, the better chance for a complete cure. Schedule a FREE, No Risk Appointment Today! "Improving Dental Health, One Patient at a Time"